Melissa Morgan is an interesting character. Having moved to London from Toronto through her work in theatre during the 90’s, Melissa identified a shortfall of cake options available for those with special eating requirements and took it upon herself to rectify this. 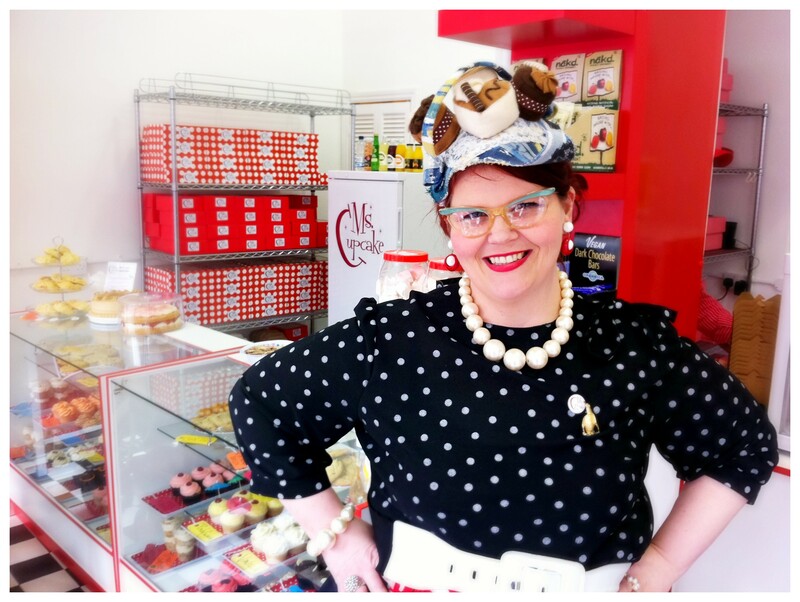 Her vegan bakery, Ms Cupcake began in her house in 2010. Since then she has expanded and relocated the business to a shop in Brixton, penned a book, began her own classes and even found time to win a Baking Industry Award. Whilst obviously renowned for their cupcakes (over 100 varieties of them!) Ms Cupcake’s menu also features ‘cookies, squares, layer cakes, muffins, donuts and more’ and caters to those with all sorts of allergies and requirements. Melissa kindly took time out of her busy schedule to discuss their gluten-free offerings. Your bakery began as a vegan bakery primarily; what has led you to include such a broad gluten free offering? When we started in 2010 we hadn’t quite anticipated such a high demand for gluten free options, but within the first 2 months it became very apparent just how popular these could be. We noticed the sheer volume of people who had to avoid gluten due to coeliac or dietary requirements, or even out of choice. There has clearly been a large rise in public attention to gluten intolerance and as such we realised how important it was to accommodate gluten-free options. However, we would never allow the quality of our product to be impaired and would only offer gluten-free alternatives when the quality and taste was as good as the regular option. In general what responses have your gluten free cakes had? As I’ve said, we would never sell anything that wasn’t up to the quality of our existing products so we spent a lot of time and effort on ensuring our gluten-free products were spot on. As a result, you can’t tell the difference between our gluten free products and our regular ones (the only real difference may be the shelf life) and as a result they have received a great reception, with impressed customers and high sales! What was your biggest challenge in providing gluten-free alternatives? Gluten free baking can be trickier as the density of the flour is different, so you have to play around to ensure the quality of the rise, crumb and moisture is all just right. Having said that, gluten-free baking doesn’t have to be difficult, and our cookbooks show where to get the right ingredients and how to use them. Have you noticed a rise in demand for gluten-free options of late? Without doubt I have. I believe it’s mostly because people are becoming aware of what they are eating and the effects it has. Also, those that don’t need to cut gluten out of their diet are increasingly open to trying gluten alternatives. For these reasons we continue to see an increase in gluten-free sales. Is there a reason for such a seeming rise in those with gluten intolerance or coeliac? There has to be some reason why these allergies are becoming so prevalent as opposed to 20-30 years ago. Whilst I’m no scientist, I believe we’d be naïve to not think the rise in allergies is linked in some ways to the continued industrialisation of food and changes in manufacturing processes. It’s far too coincidental for there to be no link at all. It seems to me that over-processing of food has caused a rise in allergies and intolerances, but at the same time people are becoming more educated and aware and are keen to find out more about their diets and how it affects them. Do you have any plans to expand on your gluten free offerings? As the business expands it allows for opportunities to increase the product line. The ideal is for none of our items to have any allergens in them; however quality is the most important thing to us and we would never impair it. So wherever it is possible to remove allergens from our products without affecting the taste quality then of course we will do it. At this moment we plan to soon be offering layer cakes, cookies and brownies gluten-free. Thanks very much with your time Melissa, I look forward to trying these out!